Florence Mae Whitlow Skinner, 86 of Gainesville passed away Friday November 2, 2018 at Bell-Minor Nursing Home. Born in Forsyth County, Mrs. Skinner had lived in Hall County for most of her life. She was the daughter of the late Cliff and Minnie Grier Whitlow. 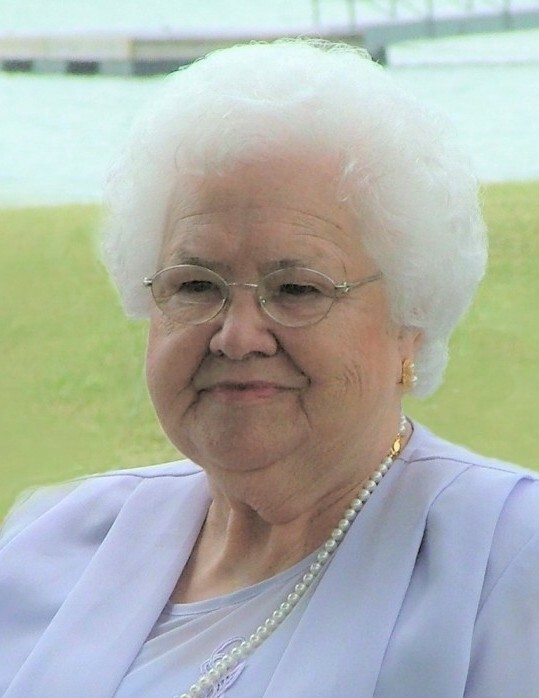 Mrs. Skinner was retired from Warren-Featherbone Company, and was a member of Liberty Baptist Church in Dawson County. Survivors include her daughter and son-in-law, Louise and Randall Jones; son and daughter-in-law, Lamar and Cathy Skinner, all of Gainesville; grandchildren, Jennifer and Jeremy Horner, Clermont; Kevin and Jennifer Skinner, Gainesville; and one great grandson on the way; sister and brother-in-law, Melba and Mike Helton, Hoschton; sister-in-law, Pauline Skinner, Gainesville. A number of nieces and nephews also survive. Mrs. Skinner is preceded in death by her husband of 44 years, Mark Skinner and daughter, Margaret Ann Skinner. Funeral services will be held at 2:00 p.m. Sunday November 4, 2018 in the chapel of Little & Davenport Funeral Home. Rev. Winfred Skinner will officiate. Interment will follow in the Liberty Baptist Church Cemetery in Dawson County. The family will receive friends at the funeral home Sunday from 12:00 p.m. until the funeral hour. In lieu of flowers the family has asked that memorial contributions please be made to St. Jude Children's Research Hospital, 501 St. Jude Place, Memphis, TN 38105 or the American Cancer Society, 2565 Thompson Bridge Road, Ste. 114, Gainesville, Ga. 30501. The family would like to say a special "Thank You" to the staff of Bell-Minor Nursing Home for the love and care given to Mrs. Skinner.